We offer to share with you the relaxed lifestyle of the Red City of Marrakech at the heart of an old house, whose renovation offers you welcoming ambiance and comfort: air conditioning, heating soil fireplace, pool, hammam, massage room, etc. All in the privileged setting of Riad 107, where you can unwind in the Turkish bath or go to the rest room to indulge in reverie, to read or share with your hosts the secrets of Marrakech. Rehydration drinks are offered and accompanied by oriental sweets. At the end of this session, you can choose the place where you wish to enjoy your lunch or dinner, specially cooked for you, or to immerse yourself in the magic of Marrakech, now that every pore of your body and your mind are ready to truly experience the textures, sights, smells, flavours and sounds of the Red City. A half hour is enough time for a specific area or two – such as back and neck. Enjoy the scented ambience at the care of our safe and nurturing hands. Feel refreshed and peaceful, and ready for another round of Marrakech. 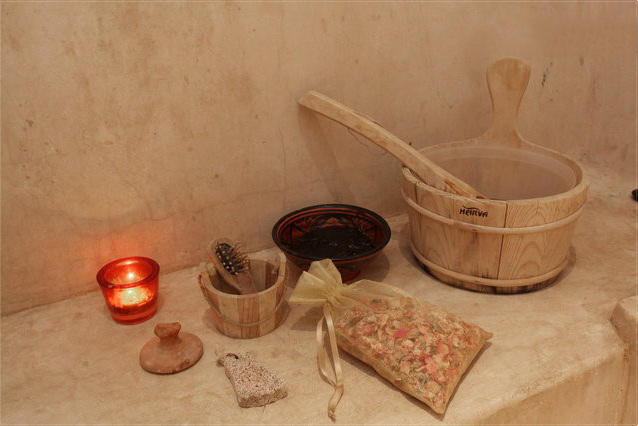 Massage from head to toe to make you relax and enjoy the best of Marrakech.